Nemo is gone, but his machines have opened a whole new world to us! The floors of Neptune's seas lay open to us, ready t surrender their bounties. Equip and upgrade your mining machines, then guide them to the rich mineral seams beneath the ocean. Control the supply of resources to bend the market to your will. 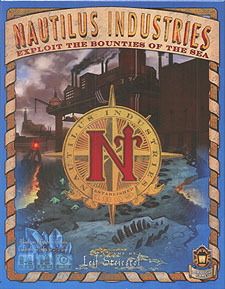 Become the master of Nautilus Industries!